With consumer spending on the rise, U.S. businesses need greater reliability and visibility from the supply chain to maintain their edge in an increasingly competitive marketplace. Given that 90 percent of global trade moves on the ocean, seaports are critical nodes of the supply chain. However, today’s major ports face the growing challenge of serving a new generation of massive container ships and the complexity of handling cargo carried by vessel-sharing alliances – constantly shifting arrangements between cargo ship operators where they share space on ships as a cost-saving strategy. 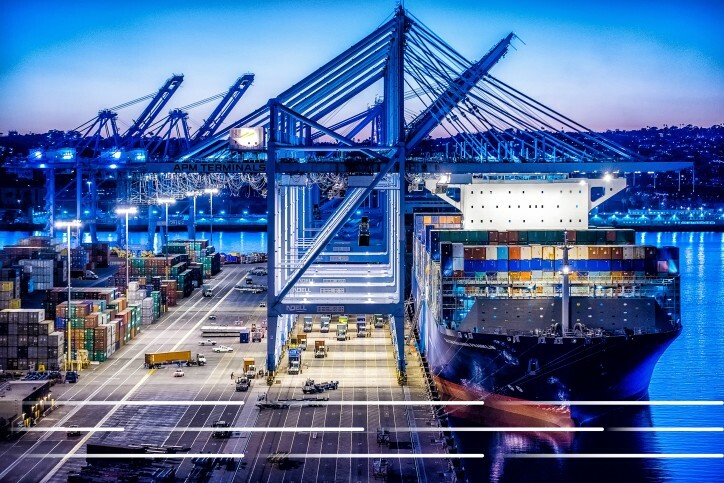 To keep cargo flowing efficiently through America’s largest container port, the Port of Los Angeles and GE Transportation are partnering to pilot a first-of-its-kind port information portal, a unique approach to demonstrate the benefits of digitizing maritime shipping data and making it available to cargo owners and supply chain operators through secure, channeled access. The digital platform will provide stakeholders with greater line-of-sight and planning capabilities to more effectively service ultra-large container vessels. Cargo data used in the two-month pilot project will include filtered information from the U.S. Customs and Border Protection’s Automated Commercial Environment (ACE) system. "Over the past year, the U.S. Department of Commerce has redoubled our efforts to help strengthen the competitiveness of our ports and supply chain stakeholders through the adoption of digital solutions," said U.S. Secretary of Commerce Penny Pritzker. "The innovative steps being taken in Los Angeles will demonstrate the value of new IT systems to ports and shippers, and help catalyze the voluntary implementation of these systems at ports throughout the U.S. We commend the Port of Los Angeles and GE for launching this visionary initiative." The pilot project is a critical first step toward enabling next-level collaboration and coordination among the many stakeholders involved in the conveyance of waterborne cargo containers. It will enhance supply chain performance by delivering fast, data-driven insights through a single portal to partners across the supply chain. Ultimately, the goal of the port information portal is to improve data-flow between cargo owners, shipping lines and other stakeholders so that port and terminal operators have an extended window of time to track inbound cargo to more effectively service vessels, optimize cargo movement and improve the predictability and reliability of the supply chain. Port and cargo stakeholders manually tested this advance exchange of data during the largest-ever container ship call last December. 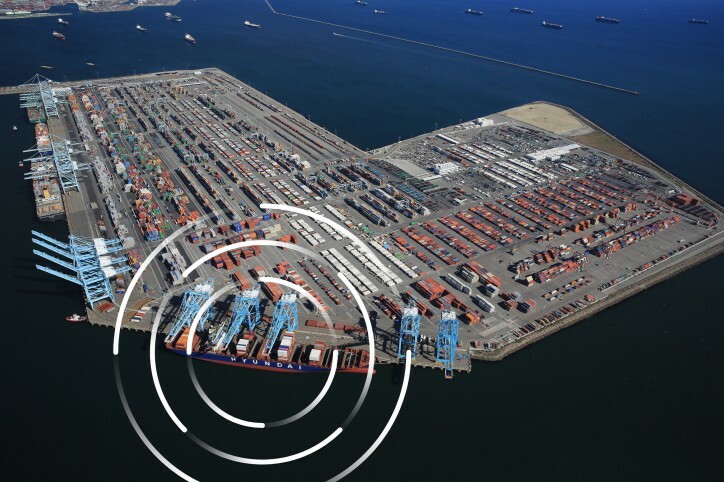 The Port of Los Angeles is the nation’s largest container port, and GE Transportation has deep expertise in leveraging the power of digital to keep industries moving forward. Together, they are committed to increasing and enhancing the capabilities of the port information portal that will enable the supply chain to more seamlessly integrate and improve outcomes at the Port of Los Angeles and beyond.